2-Sided counter riser for packaged phone cases. 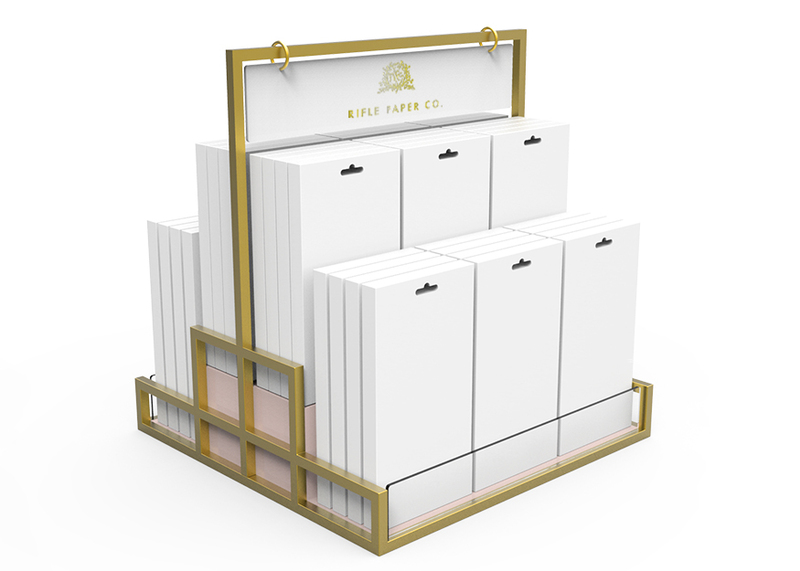 Envisioned for retail accounts like Anthropologie and Paper Source. Metal and Acrylic construction with a hanging logo sign that can be swapped out seasonally or as needed.